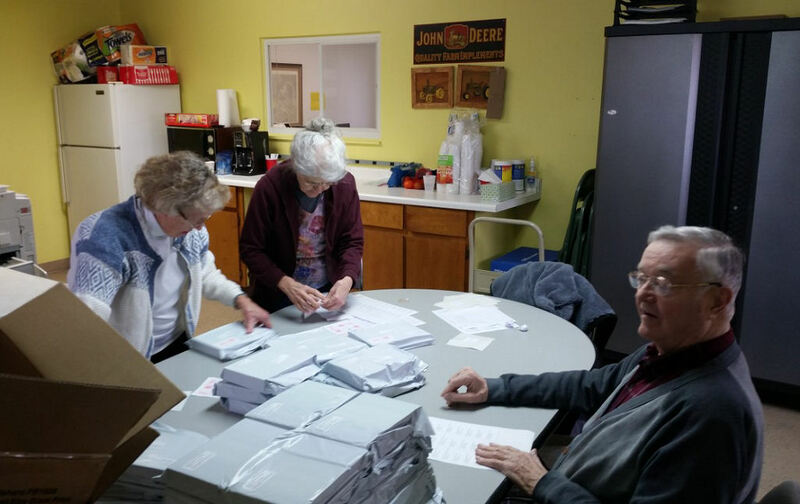 Today at the Berean office we labeled and mailed out Bibles, a car full of Bibles. I was thankful when Anna, Chuck and Roma showed up to help. As soon as that part of the work was finished we migrated into the other room to work on studies. We had about 50-60 studies come in that needed processing. With these three willing workers we were able to finish the job before 11:00 am. Anna took a box load of studies to Princeville to be graded, Chuck to 16 studies home to give to someone and the rest will go to Peoria for grading. The program is growing again and we are all thrilled.